Are you a fan of Breakout Manchester or even Escape Room games in general? Maybe just point and click escape games online? Regardless of your expertise in breaking out of locked rooms, Abode has something for everybody! 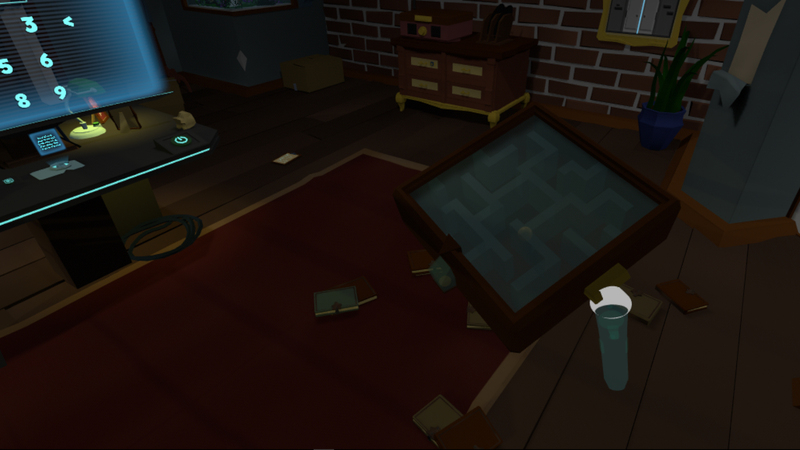 Can you solve the mysteries that lie in this puzzle-filled room or will you buckle under the pressure? Abode is the perfect virtual reality escape room for beginners and intermediate players alike, with an estimated average escape time of 45 minutes. Using your initiative, the fantastic implementation of the motion controllers, as well as the generous supply of hints within the game, search your way through your mysterious environment and see if you can escape within the hour. Find objects and items to inspect, search through boxes, drawers and furniture. Repair broken equipment, utilise technology and explore the room in order to unveil all of its secrets. There's a whole host of challenges to uncover in Abode - can you face them head on?